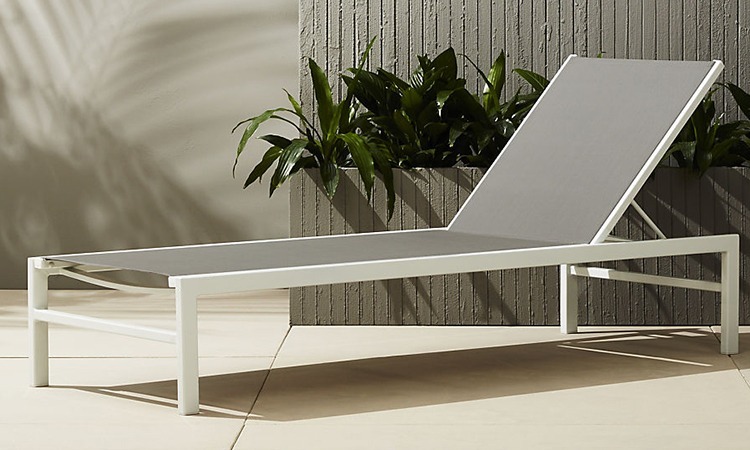 Laze your summer away with one of the top 10 best outdoor chaise lounges available here. You can enjoy ultimate comfort and put your feet up, lean back, and soak up the sun (but do not forget to put on your sunblock.) Each product adds style to the patio and works great to lay in the sun by the pool. Whether you want to take a nap on your back or stomach, you can do it comfortably on this chaise lounge. You can lay your head in the padded opening found on the headrest. Now you can place your book on the floor and read while enjoying the sun. Take it to the beach it is lightweight to carry and include a carrying strap. 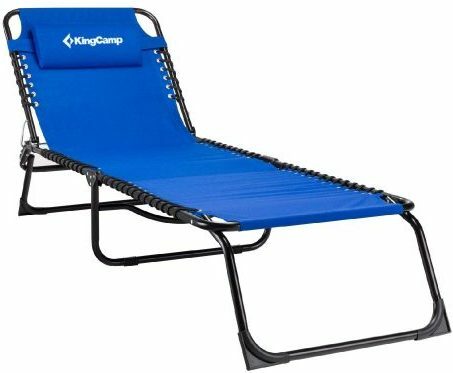 The next daybed from Kingcamp has an elastic rope suspension design. For reducing muscle tension, you can leisurely lie in it for hours. You can use it lying flat or use the built-in pillow. So you can take it with you on your camping trip and use it as a cot. The Bellora Acacia chaise lounge has a pullout table and wheels to move it. You can use it in a reclined position and pull out the side tray to set your drinks. 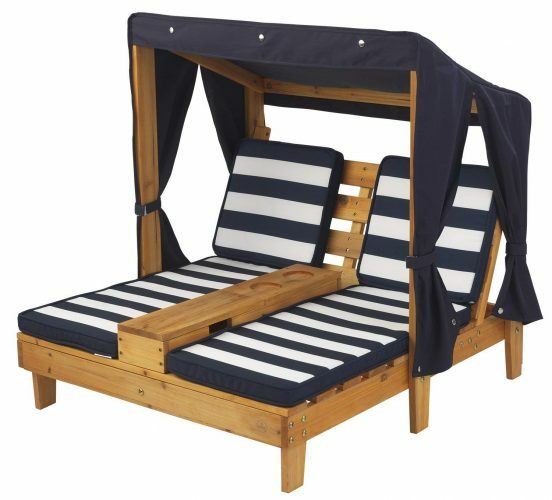 The daybed has a hardwood structure and environmentally friendly. You can add colorful throw pillows to add some style and comfort at the same time. 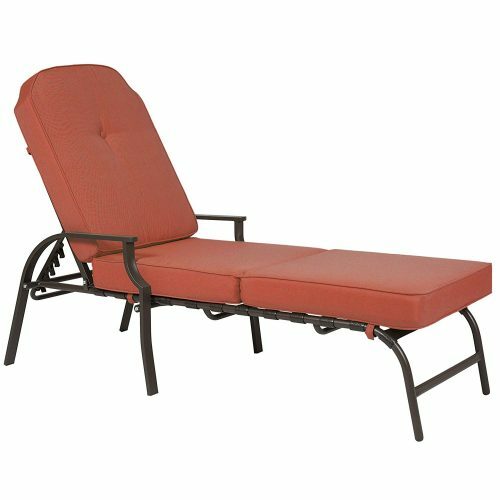 Create a tropical experience in the comfort of your backyard with the Lazy Daze Dream chaise longue. 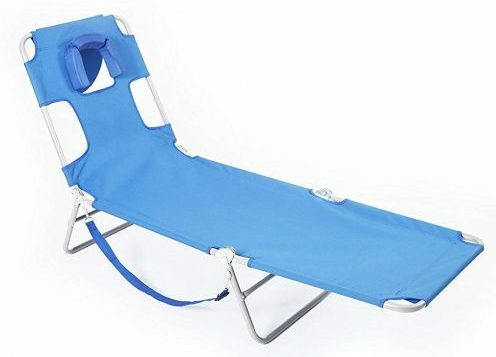 You can use it as a traditional chair or lie back and use it as a hammock. The daybed does take up some space, but includes a color-matched canopy with cushions. The fantastic thing with the next chaise lounge is that you can fold it away for storage. The sling seat is padded and has five adjustable positions. The frame is aluminum and is lightweight to take with you to the beach. The fabric is UV-resistant and breathable and easy to clean. The next daybed you can buy in a single or double style. You can easily use the settee in the home to create an oasis. The recliner has two wheels for moving. There is a large awning placed vertically and horizontally to protect you from the sun when used outdoors. The chaise lounge from Best Choice you can buy in vibrant colors and has thick padding for a comfortable lay. There are three parts to fold it up and store. The frame is rust-resistant and supports up to 250 lbs. You receive two cushions with Velcro straps and needs washing by hand. 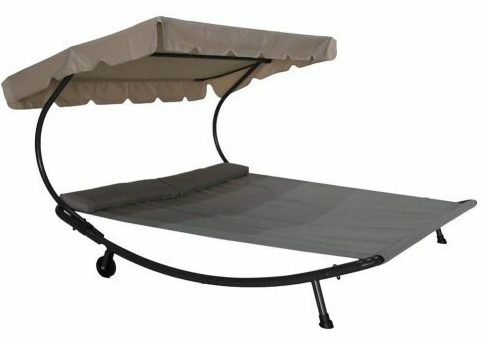 Now your kids can relax outdoors on their own KidKraft daybed with canopy. You can buy it with navy blue and white striped pillows. There are curtains hanging from the side and even looks great indoors. The wood used to make the chaise lounge is weather resistant. There is a place to keep two glasses of cold drinks in the cup holders. The next chaise lounge you get two daybeds to lie on and storing them is no problem with the stackable design. With the natural brown finish, it fits in with any outdoor setting and even looks great on the patio. The rattan design has a durable polypropylene resin structure. 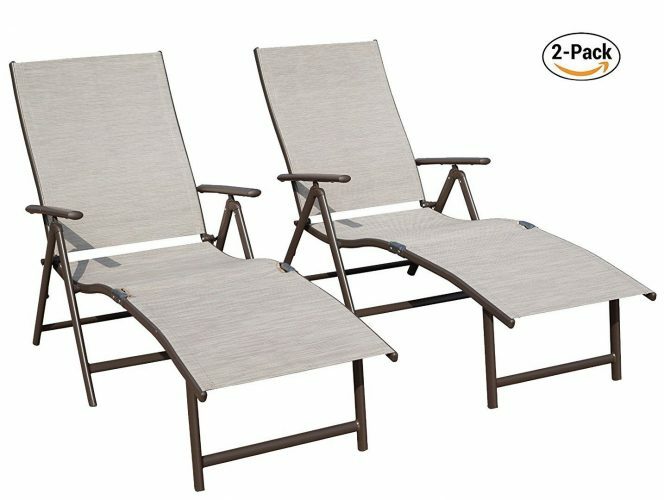 For a chick and fashionable chaise lounge, you can look at the Do4U Patio set. 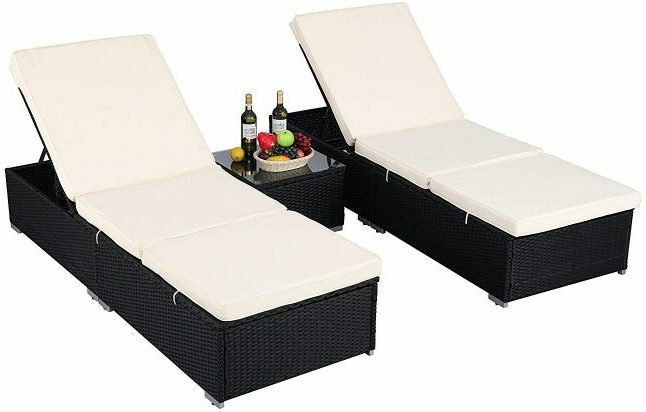 You get two loungers with a side table and glass surface with white cushions. The platform is sturdy and is perfect for an afternoon of relaxing in the sun. The settee has a wicker rattan structure and is adjustable. You can use it sitting up and laying flat. 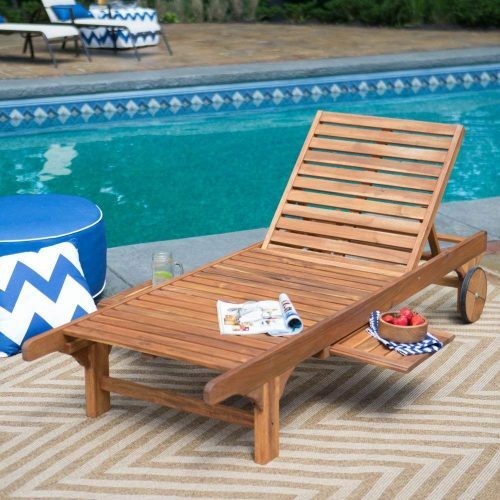 Enjoy the summer sun lying at the pool on one of these top 10 best chaise lounge sets. 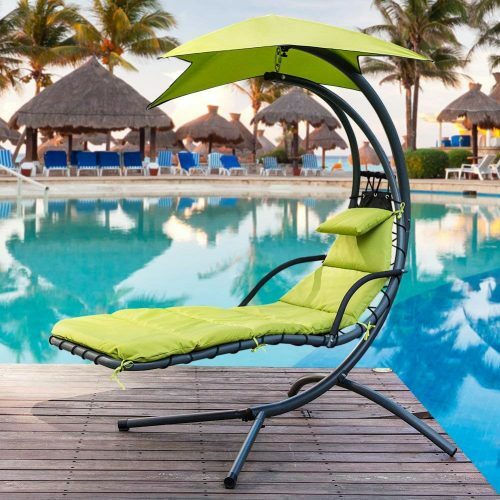 Whether you want to sit up or lie down each lounger offers you versatility. They have a durable construction with soft cushioning and easy to store. With the fantastic color designs, you can even mix and match them with your home décor.